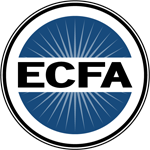 ECFA is a national accreditation agency that helps Christ-centered ministries maintain the public's trust through adherence to ECFA's stringent financial, fundraising, and governance standards. Its over 2,300 members are 501(c)(3) organizations that adhere to explicit statements of the Christian faith as the foundation for their operations and services. The distinctive and diverse characteristics of the Christ-centered nonprofits ECFA represents make valued and vital contributions to the American society. The following public policy positions, approved by the ECFA board, outline where ECFA stands on the public policies it promotes on Capitol Hill. Click here to download this public policy position. This public policy position is not currently available to download. Please check back soon.